The benefits of rooting have been discussed many times, and for many, it’s one of the main attractions to purchasing an Android-based device. The amount of fun that can be had with a rooted device is almost limitless, and, since there are so many developers catering to the plethora of devices available on the market, there are always new ones adding to the list. Often, when a device finally gets root access, a similar device (usually of the same brand and with similar hardware spec), gets the same treatment. But scarcely is an advance made which allows 20+ devices to be rooted by following the same few steps. 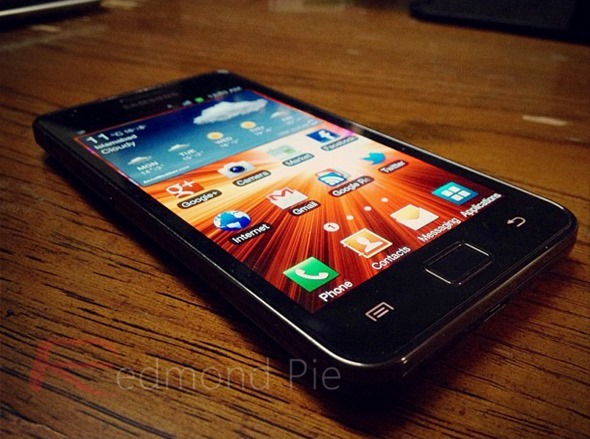 Although somewhat by accident, XDA Developers member StoneBoyTony has discovered a root method which does exactly that, boasting compatibility with a large chunk of the Gingerbread Samsung devices available to consumers. Having initially created a root method for the Samsung Galaxy Mini running the older Gingerbread version of Android, he found the same method also worked with a large number of other devices created by the Korean LCD pioneer. Not only is this arguably the find of the century, but it’s incredibly easy to apply. As usual, we’ve got the tutorial here for you, so follow the steps carefully, and your Samsung device will be rooted in next to no time. DISCLAIMER: As usual, proceed with caution and at your own risk. Although the chances of something going wrong are minimal, Redmond Pie is not to be held responsible for any loss of data or the damage of your device as a result of you following this tutorial. Step 1: Check out the list atop the official thread to see if your device is indeed compatible. Step 2: If you haven’t already, enable Unknown Sources on your device by navigating through Settings > Applications > Unknown Sources. Step 3: Download the universal_gb_root_v15.zip file and place it in the root directory of your SD card. Step 4: Hold Volume Up, Power, and Home simultaneously to put your device into Android Recovery. Step 6: Once you’re notified of the installation completion, tap Reboot System Now to complete the entire process. And that’s it. If you followed the steps correctly, your device will now be rooted on Gingerbread! Should you get stuck at any point, check out the original thread over at XDA (see Step 1).